During Tokyo Game Show 2017, fans of Grasshopper Manufacture’s renowned free-to-play title, LET IT DIE, found out that the game will be receiving new content thanks to a collaboration with Wargaming.net and their popular title World of Tanks. World of Tanks is a critically acclaimed team-based MMO action game which exclusively features armoured tank warfare of the mid-20th century. Players have access to over a 100 high-powered tanks in battlegrounds set all around the world. World of Tanks is a part of Wargaming’s series of vehicular centric titles which also include World of Warplanes and World of Warships. 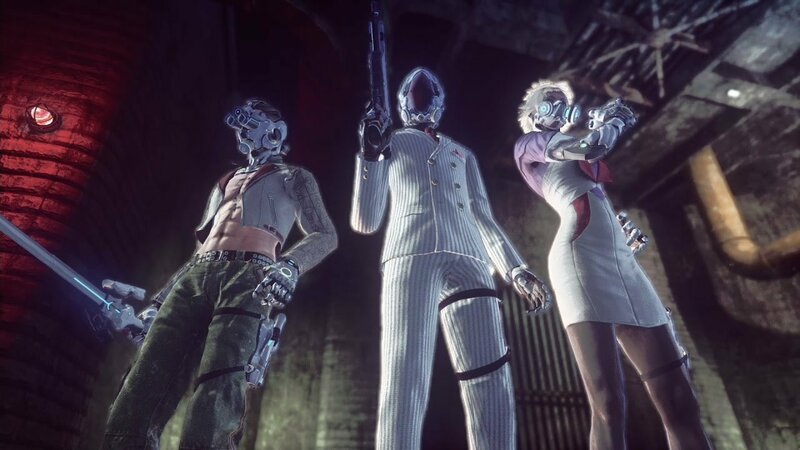 LET IT DIE is a free-to-play hack and slash title developed by Grasshopper Manufacture and published by GungHo Online Entertainment. The game released in late 2016 in most markets, with Japanese players getting the title in February of 2017. The game features tough as nails rogue-like gameplay in which players must climb through a treacherous tower while fighting all manners of crazies. As of February 2017, LET IT DIE has been downloaded over two million times. Currently, there is no release date set for the upcoming World of Tanks themed downloadable content for LET IT DIE. Want to see more videos? Subscribe to our YouTube channel and check out the First 15 – Dishonored: Death of the Outsider and Danganronpa V3: Killing Harmony!